Open or hidden, the web has its pros and cons and minorities, vulnerable people, like children, youth, and others are easy to pray. Professionals at VpN mentor had conducted research on how much LGBT people are bullied online. They state that along with the benefits of the internet, “the internet can also be an intimidating and dangerous place. Just read the comments on any viral social media post and you’ll see a slew of insults and misdirected aggression. Considering the fact that a large portion of these hateful comments includes homophobic and sometimes even biphobic slurs, the internet is especially threatening to the LGBTQ+ community. 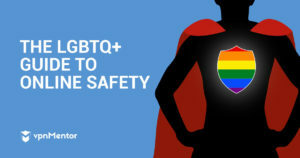 This entry was posted in General, LGBT Psychological Issues, LGBT Rights on March 27th, 2019.